What can be considered as the first Apple phone? Until 2007 when the iPhone we all know was unveiled the company had many patents of phones or to be more precise of their design. 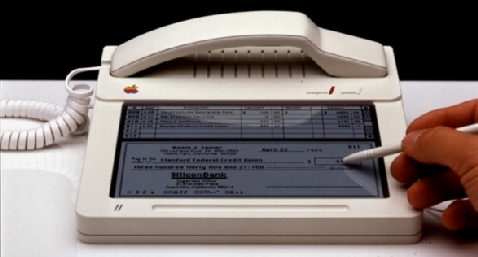 One of the models was being developed by Steve Jobs and promised to become one of the most unusual phones on the market. It never hit the shelves though. Having reviewed all initial ideas we can concentrate on the creation of the first iPhone, how hard it was for Apple and the price paid by all participants of the project. You can hardly find any other detailed insight into the past of the company and its products. We will start from the 1980s. In 1980s Apple was full of crazy ideas, created new products and probed into the new markets. In those days Steve Jobs just started to enjoy the process. What to start with? Nobody knew the answers and the number of prototypes was going through the roof. As the years went by some of them were shown to the public. Take, for example, the prototype of the touchscreen phone for workplace designed by Hartmut Esslinger. Against the background of iPhone success his son now claims that many ideas were first introduced back then. Is it true? Only in a general sense as the devotion of Steve Jobs to touchscreens has been known for years and he used every occasion to promote such products within Apple. Remember Newton, which anticipated many solutions in contemporary communicators and smartphones. But this was not a phone and we will not discuss it now. The first phone associated with Apple was the design of a mobile phone, which actually resembled… an apple. 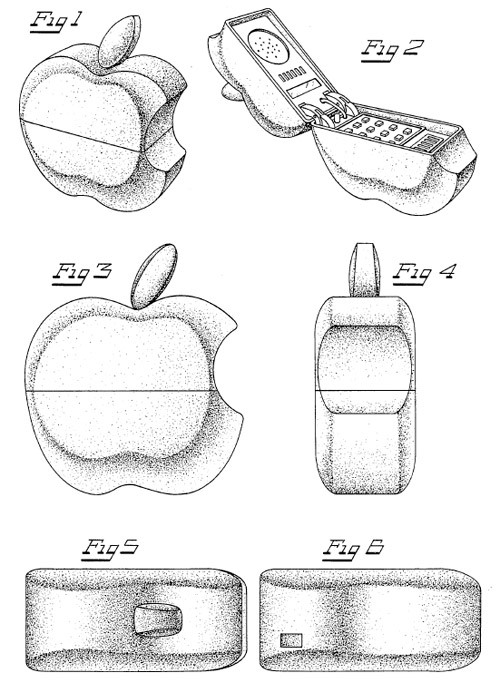 Today you can treat it as a concept without chances for success, but in 1982 it looked like a simple apple. In the patent its creators are named as Denni Rivette and Harry Disko, who that year submitted 11 patent applications and they all became available for public in 1985. This is not a true phone, but a design fad. 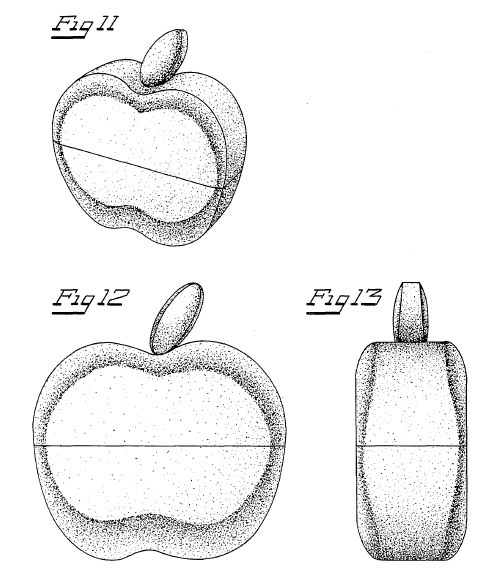 In those days Apple was looking in different directions and such patents were not surprising. Then the company stalled and the phones were not on the agenda. Everything changed in 2000 when the phones were the latest chic and it was obvious that the things could only get better. Unfortunately Apple could not get the foothold into this niche and decided to start from portable мр3 players. iPod popularity in 2002 was next to zero, the brand has been just introduced and Apple had no clue what would happen next. By 2004 Apple became the indisputable US leader in the segment of portable music players and the appeal of iPod was gaining momentum. Since 2002 Steve Jobs started playing with the idea to break into the phones market, which he viewed as the threat to the music players, which would account for 16% of the company's business two years later. The engineers considered the options to create such devices, but they had no experience and understanding of this market segment. That is why Apple began appealing to other manufacturers. It cooperated with Motorola and at the same time tried to come up with its own mobile phone model. Codenamed Purple 1 this project did not even get to the stage of engineering prototypes. The main contribution to Purple 1 concept was made by Steve Jobs himself. In 2004 it was obvious for him that the company's innovation had to offer something original to stand out from the other solutions. The ideas were associated with an all conquering iPod. If iPod is popular we just have to add phone functions to it. 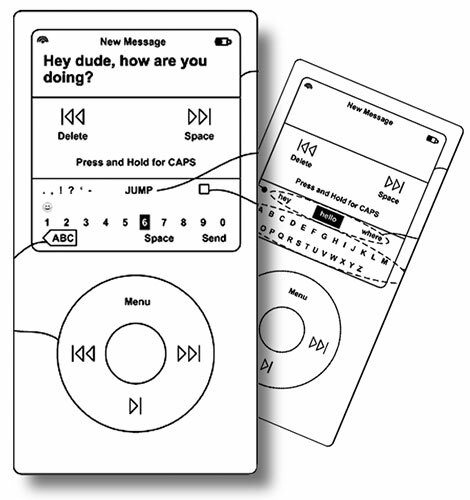 Taking iPod as the starting point Steve Jobs decided to get rid of the keypad and used ClickWheel for dialing and text input. The circle with digits had to appear on the screen where you had to choose an item on the sensor panel and could dial the number quickly and without errors. Cool, but too unusual. To send SMS was offered a words recognition system. It could have made life easier, but the absence of the keypad made this concept a bit weird. Apple never publicly discussed the creation of Purple 1 and all information was taken from the patents, which became available several years afterwards. 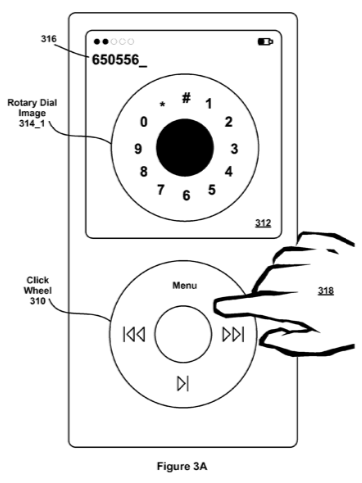 In the summer of 2006 Apple submitted a number of patents and we quote three of them. Interestingly, among the inventors of them all was mentioned Steve Jobs. Traditionally he is not credited in the patents as the products are created by the company's engineers and not the CEO himself. It openly points out at the contribution of Steve Jobs to the development of the products. The discrepancy between the dates of patent submission and the development of devices is an ordinary thing. We can usually speak about 1 or 2 years. Why this phone has not been released and all research was put on hold? The reasons are quite obvious. Charismatic Steve Jobs masterminded this project, but his ideas led to its cancellation as well. Though very original this model could not offer any breakthrough and would have raised the eyebrows of consumers. Some people could have even been frustrated. The company understood this when they started cooperation with Motorola and ways of irritation battered Apple. The project betrayed the expectations of Steve Jobs and other people in the company. There are no plans to make a tablet. It turns out people want keyboards. When Apple first started out, "People couldn't type. We realized: Death would eventually take care of this." "We look at the tablet and we think it's going to fail." Tablets appeal to rich guys with plenty of other PCs and devices already. "And people accuse us of niche markets." I get a lot of pressure to do a PDA. What people really seem to want to do with these is get the data out. We believe cell phones are going to carry this information. We didn't think we'd do well in the cell phone business. What we've done instead is we've written what we think is some of the best software in the world to start syncing information between devices. We believe that mode is what cell phones need to get to. We chose to do the iPod instead of a PDA. At the same time the company started gathering information about the mobile phones market, because Apple lacked any expertise in this filed and had no engineers familiar with the area. Everything happened by chance. Jobs always knew Ed Zander from Sun Microsystems. They were not friends, but met each other on numerous occasions. On January 5, 2004 Zander became the CEO of Motorola. The company was in trouble, suffered from continuous reshuffling and was actively losing its market share to other manufacturers. Motorola needed new blood and ideas. At that time in deep secrecy the company was working at RAZR project, though nobody understood its potential and importance for Motorola. This product was created almost by accident and did not comply with Motorola strategy, but became the trademark product for Zander, who broke all corporate rules and as if he was Steve Jobs showed RAZR with aplomb to the company's partners. It was a smash hit. Unknown to the wider audience it was heavily discussed among the partners. No one knows whether Steve Jobs was familiar with this Motorola product, but in the summer of 2004 he initiated the meeting with Ed Zander. Apple wanted to break into the US market with its phone to be manufactured by Motorola. Mobile operators did not want to deal with the relative newcomer in this field and in the US they decide what will sell. Without their approval and support the future of any product could be bleak. Apple could not influence the operators as it was working in other areas. Even if Apple launched a revolutionary product without the operators support it would be impossible to buy. Cooperation with Motorola was an entry ticket to the mobile phones show. Motorola had good relations with all the players, could sell millions of handsets and was interested in cooperation with Apple. Apple contribution was access to iTunes shop and music, which had to be the main features of the model. Motorola had to create the shell of the device, provide distribution and Apple would concentrate on the music stuff and offer integration with iTunes. "Motorola, Inc. and Apple® today announced they are partnering to enable millions of music lovers to transfer their favorite songs from the iTunes® jukebox on their PC or Mac®, including songs from the iTunes Music Store, to Motorola's next-generation "always with you" mobile handsets, via a USB or Bluetooth connection. Apple will create a new iTunes mobile music player, which Motorola will make the standard music application on all their mass-market music phones, expected to be available in the first half of next year". The market went crazy, the shares of Apple went up and the rumors about the next Apple phone were spreading fast. Nobody believed it could be anything ordinary as the company always surprised its customers. Apple fans started making their drafts of the model and such images were everywhere, but nobody could guess what would be unveiled next year in the form of the first joint Apple and Motorola phone. 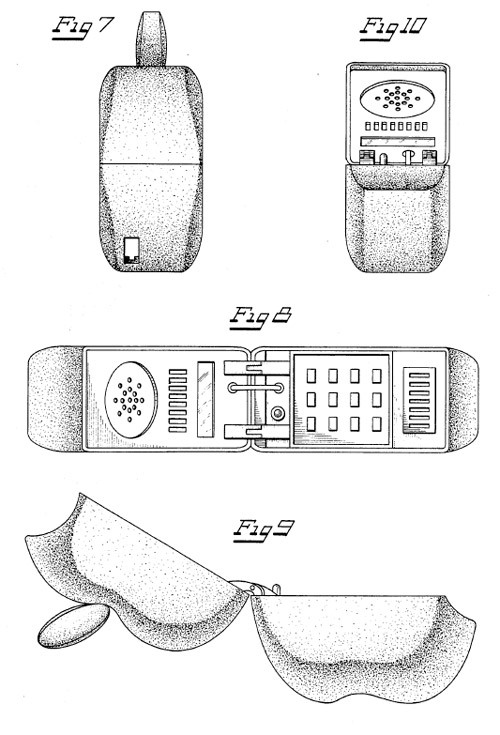 It is difficult to imagine that Steve Jobs agreed for Motorola to announce these plans one year in advance. This was alien to the style of Jobs and Apple. He likes to show the device with some sort of surprise - it should be either unexpected or different from everybody's beliefs. His new products are created to amaze and attract. Probably Steve Jobs was uncomfortable to ignore his principles and values, but the potential gain outweighed the losses. Do you want to talk about this? Please, go to our Forum and let your opinion to be known to the author and everybody else.